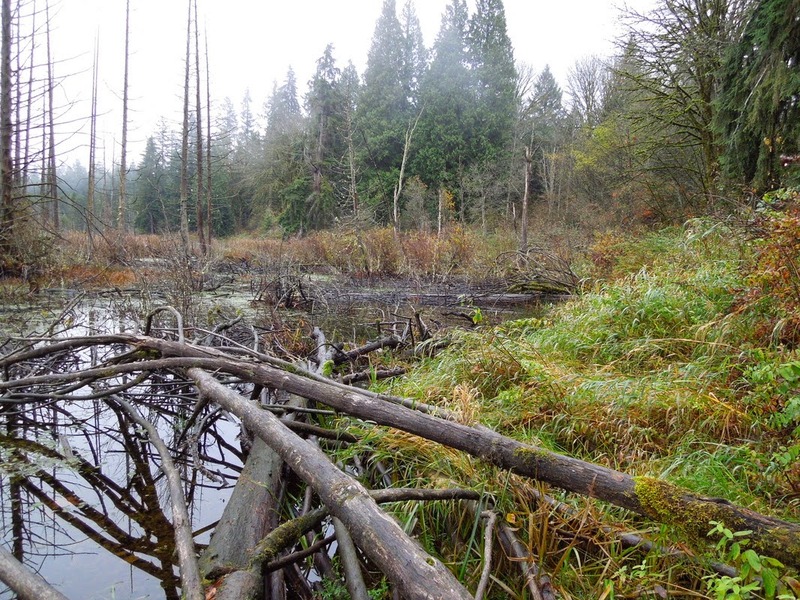 Earth Day 2015 finds us a day shy of a year since a unanimous Snohomish County Council agreed to purchase and thereby preserve a 25-acre slice of nature between Woodinville and Maltby called Hooven Bog. It made this a fitting day to honor two people who led a grass-roots effort to protect a rare example of bog and fen wetland that has become increasingly rare in western Washington. 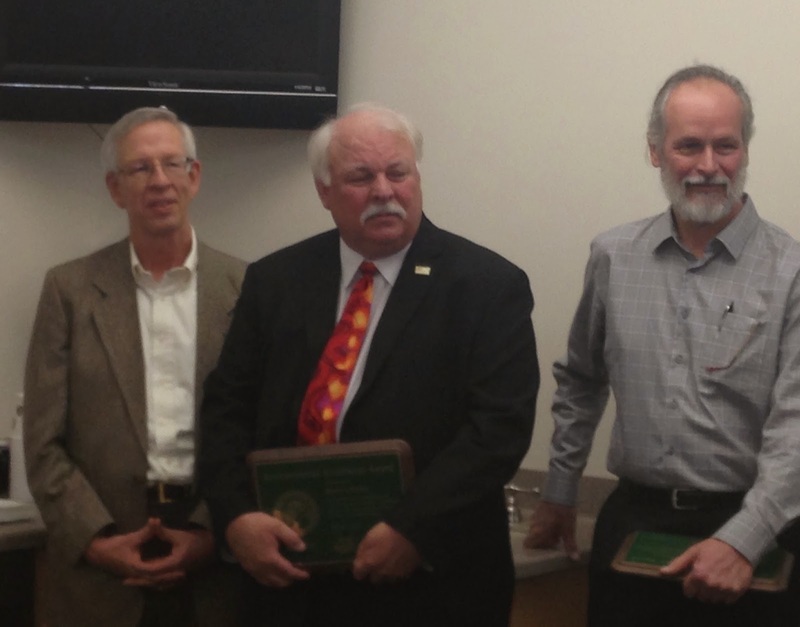 Randall Whalen and Mark Ericks received Ecology’s Environmental Excellence Award for their leadership in preserving this resource. Northwest Regional Director Josh Baldi presented the award at a ceremony today in the Everett office of Snohomish County Executive John Lovick. “Randy and Mark are directly responsible for protecting Hooven Bog,” said Baldi. “We applaud their success in preserving a place where people can see its plant and animal life, and the way it supplies cool, clean water. People like Randy and Mark give us hope that we not only can protect special places like Hooven Bog, but also that we can restore the health of Puget Sound." Whalen, a local resident and a founder and director of Bear Creek Headwaters, led a legal battle against county approval of residential development along the bog’s southern shore. He personally funded his appeal, which reached the state Court of Appeals. He also spearheaded an effort to raise public awareness of the ecological value of Hooven Bog and the environmental costs posed by the proposed development. His efforts caught the attention of Deputy County Executive Mark Ericks. Ericks lost little time in assembling a funding package for the county to acquire and preserve the majority of Hooven Bog and adjoining forested lands to the south and west. The Snohomish County Council approved the plan on April 23, 2014. The county finalized the purchase that July. The property will be managed by Snohomish County Parks and Recreation as a natural area. Bogs form over hundreds or thousands of years when plant matter decays and fills a lake bed, creating peat. Fens are similar, but can form in places where the water table is high and tend to have year-round flowing water. Both help release cool and clear water; each is home to unique plant and animal communities. The state Department of Natural Resources includes Hooven Bog in its Washington Natural Heritage Program as a high-quality undisturbed wetland that supports state threatened, endangered, and sensitive plant species. The bog is part of the headwaters of a major tributary to Bear Creek. In Redmond, about 11 miles south, Bear Creek joins the Sammamish River, which flows into Lake Washington. 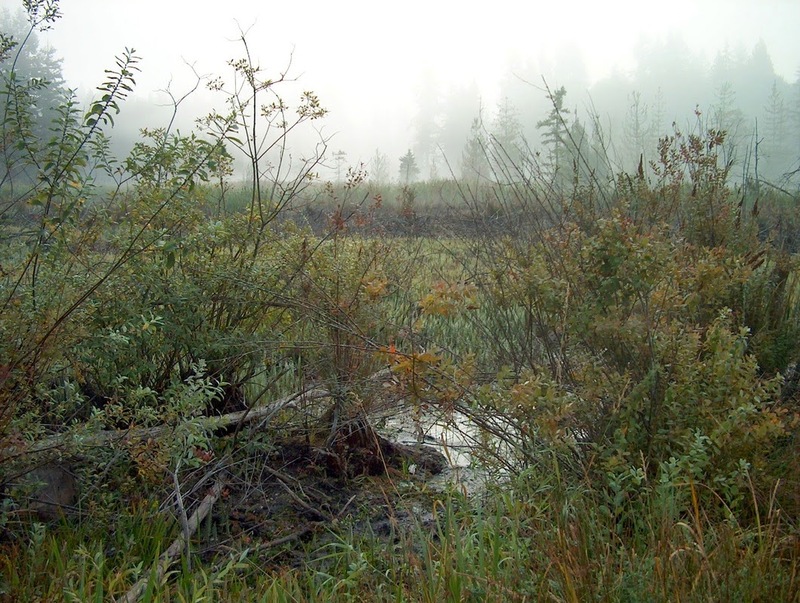 bog environment as a publically owned natural area. See more photos of Hooven Bog and the award recipients.